There's plenty to love about royal weddings. Aside from the general pomp and circumstance that comes with a monarchy channeling all of its traditions into a modern wedding ceremony, there's something awe-inspiring about the level of detail that goes into these weddings. From the bride's dress to the reception to the people in attendance, there's so much to be fascinated by — especially because royal weddings don't happen every day. But there's one precious detail that could make any romantic swoon with happiness: the royal first kiss. It's tradition to have your first kiss as a married couple at your wedding, but somehow, royals do it better. Much, much better, if you ask us. Once the "I dos" are said and the vows and rings are exchanged, most newlywed royals step out onto a balcony or on the steps of the church where they were married and share a sweet smooch for all to see. It's just the best. With another royal wedding right around the corner, courtesy of Prince Harry and Meghan Markle, let's take a look at some recent memorable royal wedding first kisses. 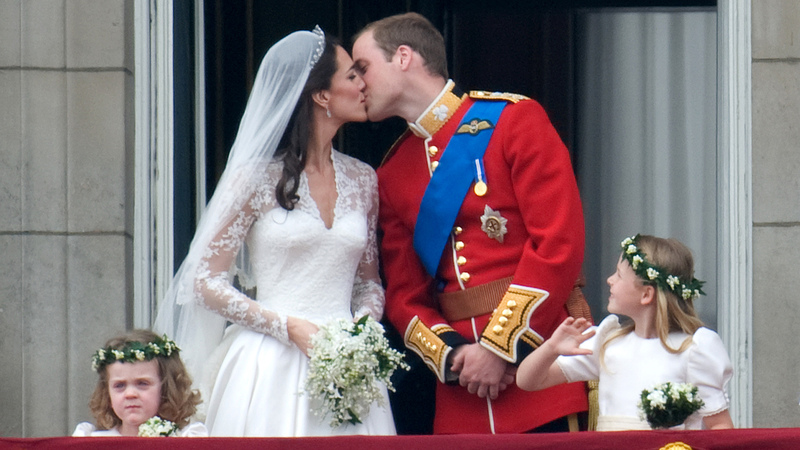 Prince William, Duke of Cambridge, and Catherine Middleton, now Duchess of Cambridge, shared their special moment on the Buckingham Palace balcony after their wedding ceremony in 2011. Prince Laurent of Belgium and Claire Coombs kissed on the balcony of Brussels Town Hall on their wedding day, April 12, 2003. Prince Felipe (now King Felipe VI of Spain) kissed the forehead of his wife, Princess Letizia Ortiz, during their wedding banquet at the royal palace on May 22, 2004. 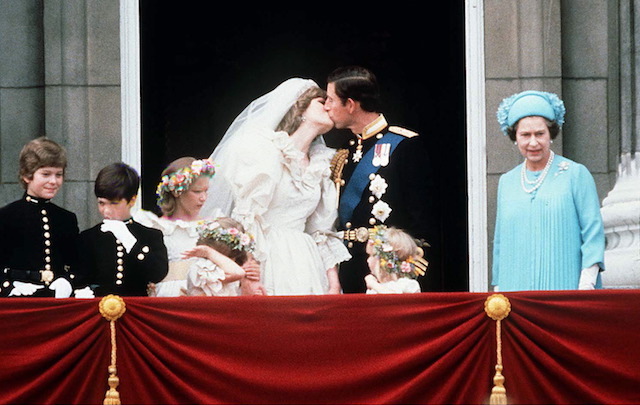 It was a kiss seen 'round the world: Prince Charles kissed Princess Diana on the balcony of Buckingham Palace on the day of their wedding in 1981 and stole all our hearts in the process. 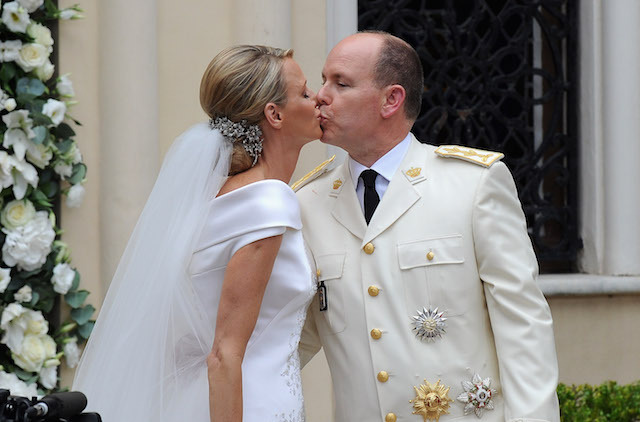 Grace Kelly and Prince Rainier's son, Prince Albert II, shared a sentimental smooch with his bride, Princess Charlene of Monaco, after their wedding ceremony at the Prince's Palace in Monaco on July 2, 2011. Bhutan's reigning royal couple, King Jigme Khesar Namgyel Wangchuck and Queen Ashi Jetsun Pema Wangchuck, shared a public kiss while at the celebration ground at ChangLeme Thang on Oct. 15, 2011, in Thimphu, Bhutan. Princess Madeleine of Sweden and British financier Christopher O'Neill kissed on their wedding day, hosted by King Carl Gustaf and Queen Silvia at the Royal Palace on June 8, 2013. Look at these lovebirds: Princess Claire of Luxembourg and Prince Felix of Luxembourg shared a kiss for the cameras as they left their wedding ceremony at the Basilique Sainte Marie-Madeleine on Sept. 21, 2013. 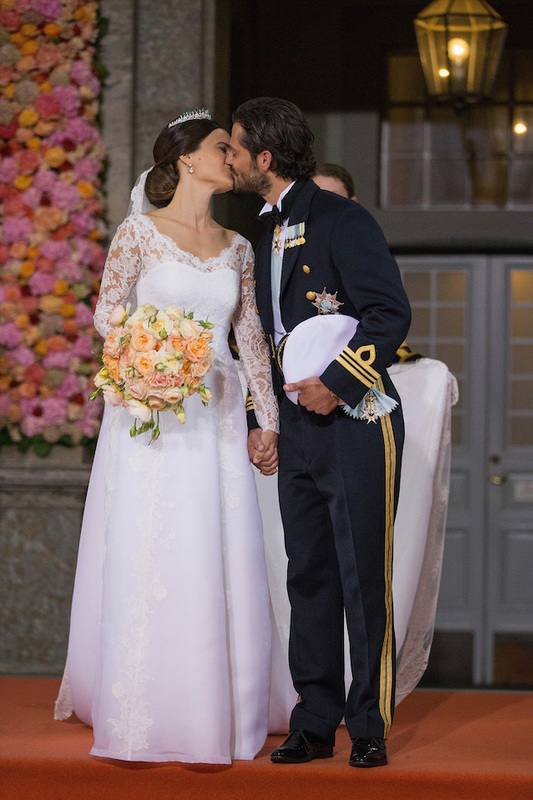 Prince Carl Philip of Sweden kissed his wife, Princess Sofia of Sweden, after their wedding ceremony at the Royal Palace on June 13, 2015. The Netherlands' own Prince Johan Friso shared a loving kiss with his wife, Mabel Wisse Smit, as they stood on the balcony of the Noordeinde Palace on April 24, 2004. 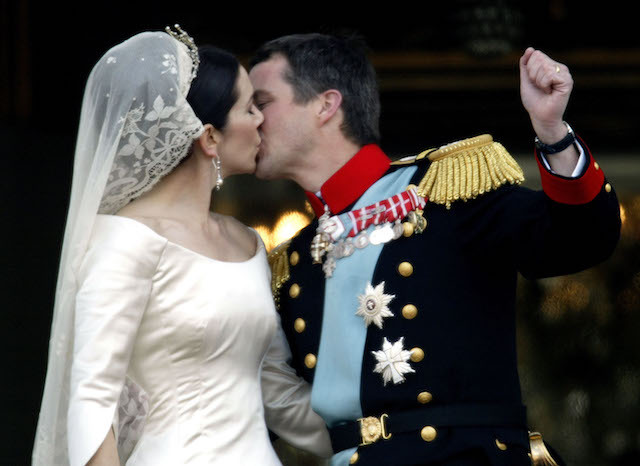 The Crown Prince of Denmark, Prince Frederik, raised his hand in joy as he kissed his bride, Princess Mary, on the balcony of Christian VII's Palace after their wedding ceremony on May 14, 2004, in Copenhagen. 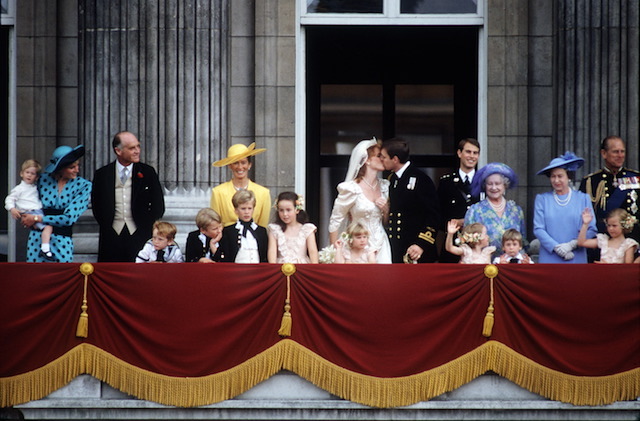 Prince Andrew and Sarah Ferguson stepped out onto the Buckingham Palace balcony with their extended family in tow and shared their first kiss as a couple on their wedding day, July 23, 1986. Princess Alexandra Christina of Denmark and her husband, Martin Jorgensen, were photographed sharing their first public kiss as husband and wife on their wedding day, Sept. 18, 2006. Crown Princess Victoria of Sweden, Duchess of Vastergotland, shared a passionate kiss with her husband, Prince Daniel of Sweden, while exiting Storkyrkan Church after their wedding ceremony on June 19, 2010. 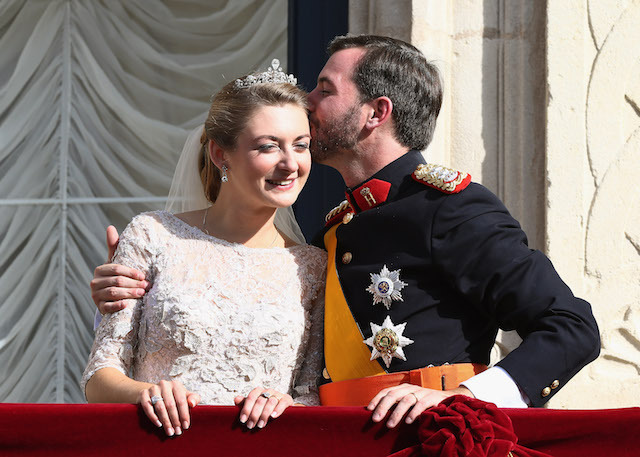 Prince Guillaume of Luxembourg affectionately kissed his new wife, Princess Stephanie of Luxembourg, as they stood on the balcony of the Grand Ducal Palace on their wedding day, Oct. 20, 2012. 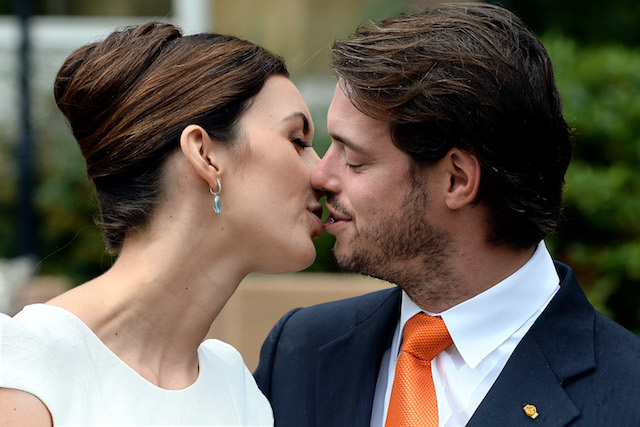 Prince Felix of Luxembourg shared a smooch with his bride, Princess Claire of Luxembourg, during their civil wedding ceremony at Villa Rothschild Kempinski on Sept. 17, 2013, in Germany.